It was good to see a new team being competitive from the startCredit: Pirelli S.p.A.
F1 needed a good day after the exciting new elimination qualifying designed to liven up the grid led to a farcical loss of running and a severe lack of suspense. The race on the other hand had two key factors that added extra spice: Ferrari jumping from third and fourth on the grid to first and second by turn three and then Fernando Alonso’s world being turned upside-down down under leading to a red flag on lap 17. But several drivers, including the pair at Renault who haven’t raced in over a year, showed no rust and started the season with good performances. The big story behind the Mercedes versus Ferrari fight at the front was Romain Grosjean. Whatever your thoughts on Haas’ tie up with Ferrari, it was good to see a new team being competitive from the start. That said, their qualifying performance showed they won’t be troubling the podium any time soon, as they locked out the 10th row. That just shows the enormity of Grosjean’s achievement on Sunday. The Frenchman had struggled to make any progress early in the race, stuck in 18th and only gaining places ahead of the damaged Magnussen and non-starting Kvyat. But Grosjean was playing the long game, starting on soft tyres (the mid-option of the three now available to drivers) and started to rise through the field as those ahead of him pitted to change their worn out softer tyres. Carlos Sainz triggered the undercut and forced some in earlier than planned, although drivers were clearly struggling as they got beyond 10 laps with those on fresh rubber making their way through the field as if others were mobile chicanes. Even with a grip deficit Grosjean continued to climb, up to 12th by lap 12 and crucially 9th on lap 17 when Fernando Alonso ran into the back of Grosjean’s teammate Esteban Gutiérrez. With free tyre choice under the red flag, Grosjean could bolt on a fresh set of medium tyres, forgoing the 24 seconds for a pitstop. But even with a dream ninth place on, Grosjean continued his charge up the field, profiting on Räikkönen’s retirement and then making his medium tyres last 39 laps, passing the Toro Rossos when they had to ditch their supersoft tyres. 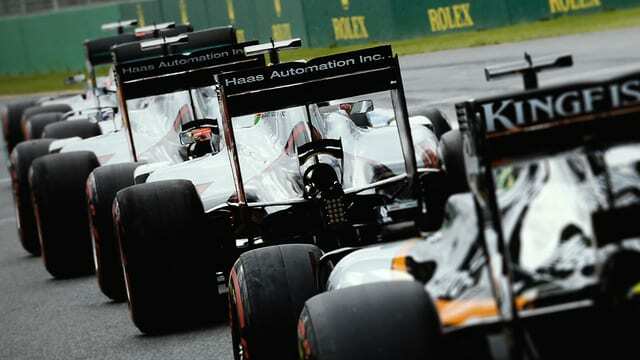 Grosjean’s strategy allowed him to rise through the field but it was Grosjean’s skill and speed that stopped him dropping like a stone, holding off Nico Hülkenberg, Valtteri Bottas and the Toro Rossos – all faster cars. Since 2013 Grosjean has been viewed as a strong driver but this was a drive that proved he can be fast regardless of the machinery as the Frenchman announced his candidacy to replace Kimi Räikkönen at Ferrari in style. Both Renault drivers started the season with something to prove. Kevin Magnussen felt jilted after being unfairly forced out of McLaren after a solid debut season in favour of Fernando Alonso while Jolyon Palmer, GP2 champion in 2014, had to watch his title rival drive for Sauber last year as the Brit sat on the sidelines. Both started their seasons strongly in Australia. In qualifying, the pair were one of eight sets of teammates to line up side by side on the grid but Palmer passed the first test, beating his more experienced teammate in qualifying by half a tenth of a second, putting in a great lap when under pressure and at risk of being knocked out in Q1. 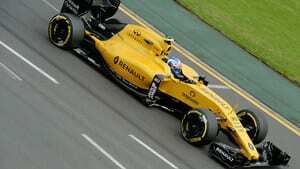 Then in Q2, Renault knew their fate as the slowest team left but once again Palmer was faster, this time by over a tenth. In the race, Palmer was serene, fighting on the edge of the points throughout the race with faster cars but it was his control that impressed as he battled cleanly with Valtteri Bottas when many a rookie would have crashed, ultimately losing out after a battle that lasted several corners. Then after the Toro Rossos had pitted for fresh rubber, Palmer was clearly the calmest of the three when many would have wilted. Whilst he lost out to both on lap 42, Verstappen profiting from Sainz running the Brit wide in turn one, Palmer was left pointless but having proven that he has the confidence and the ability to perform on the big stage. For teammate Magnussen the race was rather more complicated and ultimately overlooked. His car was clipped by Nico Hülkenberg in turn two, puncturing the left rear and Kevin lost a lap limping back to the pits. Like Grosjean, Magnussen got a huge slice of luck with the red flag as he was able to get back on to the lead lap and give himself a fighting chance. The Dane didn’t need a second invitation and fought his way through the field past Pascal Wehrlein, the Saubers of Felipe Nasr and Marcus Ericsson, Jenson Button and finally Sergio Pérez with two laps to go to finish a very impressive 12th just two seconds behind his teammate despite his dramas. He ran the medium tyres for 56 laps and yet still showing incredibly competitive pace at the end of his mammoth second stint. Maybe Daniel Ricciardo has a bit of Nigel Mansell in him. 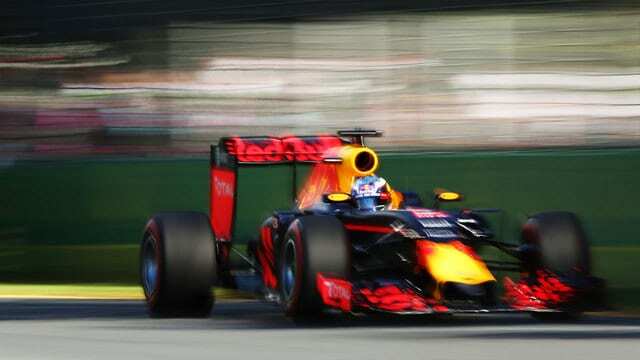 The Aussie started his season at home with a bang, finishing fourth in a Red Bull that will improve over the year. A single blot in his copybook was going off at the fast chicane in the wet at the end of second practice while on slicks but otherwise Ricciardo was faultless. His weekend is hard to judge in terms of pace as his teammate, Daniil Kvyat, was knocked out in Q1, possibly due to unreliability and then couldn’t even start the race. His MGU-H failed as he rolled onto the front start to start the race, not making the start for a second year in a row. Ricciardo qualified 8th, unable to beat the faster Mercedes, Ferraris, Toro Rossos or Felipe Massa’s Williams, finishing last in an incredibly dull pole shootout. In the race it was Ricciardo who was smiling though, jumping up to fourth ahead of the Toro Rossos, who split their strategy, and Massa at stops and then third when Räikkönen retired. Red Bull’s strategy was conventional but going onto the soft tyres after the red flag cost him, forcing him to make an extra stop and allowing Hamilton past to deny him a first official Australian GP podium. Who was the FIA driver of the day? Romain Grosjean’s dream debut drive for Haas secured the fan vote after a surge from rookie Rio Haryanto whose stellar debut finished in retirement from 18th place on lap 17.